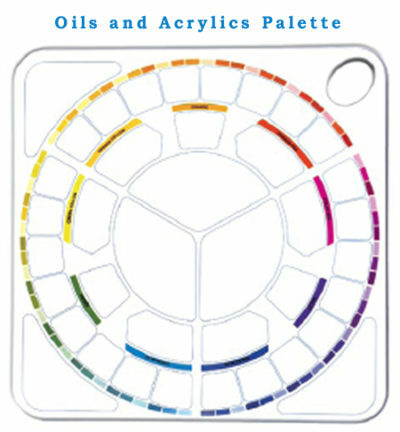 This palette is three items in one: a mixing palette, the first correct colour mixing wheel and a comprehensive guide to colour harmony and contrast. The palette offers a constant colour mixing guide to the user, enabling full control over this once impossible area. The palettes are produced from Melamine, not plastic. They are given a special resin finish which gives a particulary smooth surface. As such, they look, feel and handle like porcelain and are easy to clean, non staining and kind to brushes. Colours, sealed into the surface, will indicate the appropriate well to use for any mix. 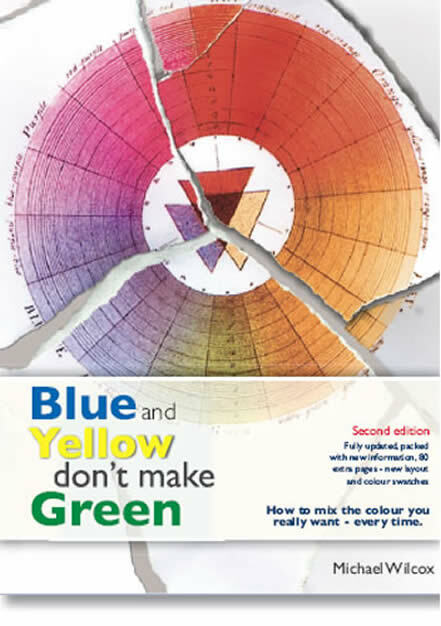 The arrow shaped mixing wells take the six principle mixing colours; two reds, two blues and two yellows. These will lead you to a wide range of violets, greens and oranges. Colours that you wish to darken with the complementary are placed into the outermost mixing wells. 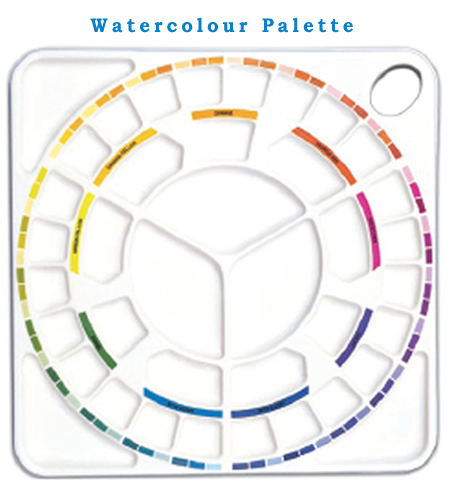 Having deep mixing wells, the Watercolour Palette is suitable for watercolour, gouache, casein, dyes, inks, or thinned acrylics. Supplied with a clear protective lid and a comprehensive, full colour instruction booklet. The lid will keep dust and dirt away from your paints. It will also help to keep them fresh. The instruction booklet will give comprehensive guidance. 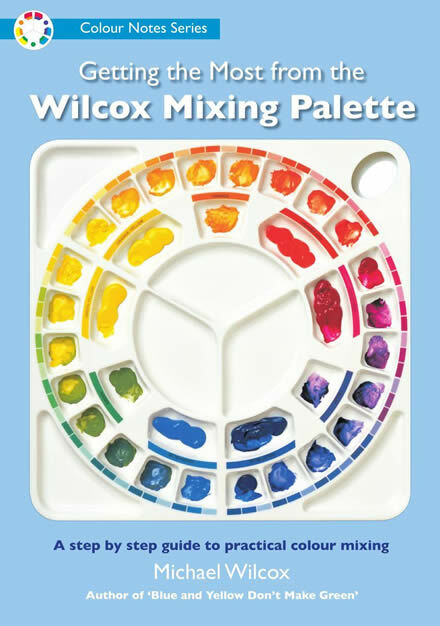 For more in-depth instruction, some artists pair their palettes with the books ‘Getting the Most from the Wilcox Mixing Palette’ and ‘Blue and Yellow Don’t Make Green’.